Wells Fargo Bank (Property owner, with the exception of Macy’s and Target, which are individually owned by those companies). Previous owners of the Town Center Mall (RREEF and Sand Hill Properties/Peter Pau) defaulted on a loan from Wells Fargo. A public plaza with an underground garage connects Caltrain to office buildings that meet the street on two frontages. Multifamily housing projects are under construction. 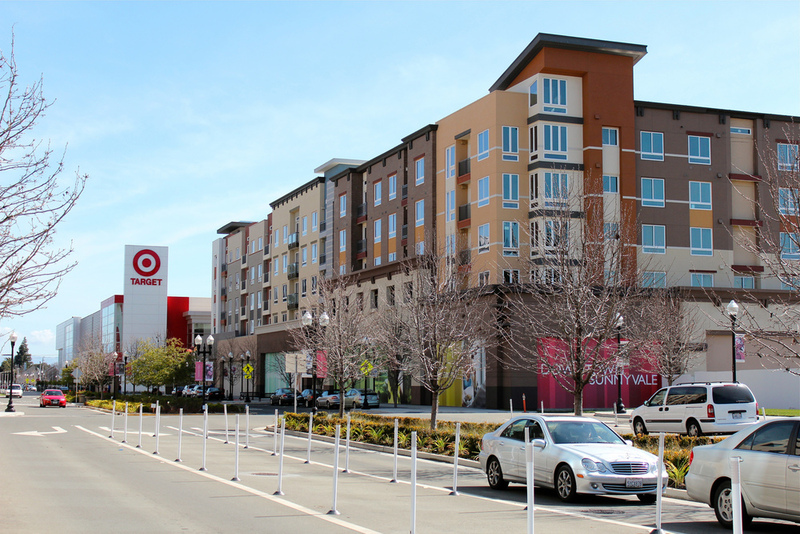 A Target store that predates the lawsuit sits above ground floor parking lined with small retail bays, awaiting future tenants and suggesting a compelling approach to the challenges of urban big-box retail. Stick to your guns: A strong urban design vision can survive through significant economic and legal upheavals. Big-box retail can work on a more urban template, and even share space with smaller retailers.